The Bishopthorpe dot net team would like to congratulate Gordon Watkins as he celebrates an amazing 35 years at the helm of The Ebor. Way back in 1981 the world seemed a simpler place; Bucks Fizz won Eurovision, Charles and Diana had the wedding of the year, John McEnroe launched his ‘you cannot be serious’ tirade, and Gordon took over at the Ebor. Over the years Gordon has turned the Ebor into truly the locals’ local, making sure that the pub has always given a warm and friendly welcome but also running a tight ship and ensuring that his own high standards are maintained by all of the bar and kitchen staff. 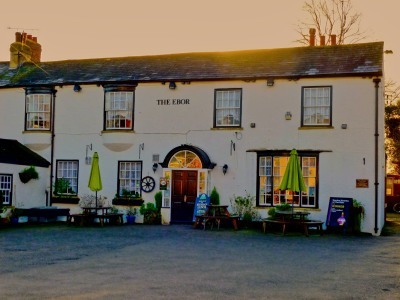 The Ebor is now well known to visitors and locals alike for the quality of the food and the friendly atmosphere, but throughout everything Gordon has kept it as a ‘proper pub’ which we’re fortunate to have here in Bishopthorpe. Sometimes we take the benefits of village life for granted, but many villages must look at what we’ve got here in envy. Gordon has been key to making the Ebor the heart of the community and we’d like to say thanks Gordon for all you’ve done, and we hope you keep on doing it for many more years.